No need to steer clear of this black cat. 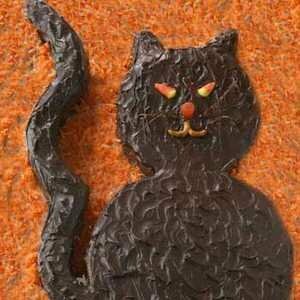 In fact, the little ghouls and goblins will be making a bee-line to this purr-fect Halloween dessert. This is a fun and easy Halloween cake that the kids will enjoy decorating with you for their special Halloween party. This video demonstrates how to make carving a pumpkin easy. A helpful hint is to use a dry-erase marker to get your face just right. Step-by-step instructions showing you how to make delicious caramel apples. They are sure to be a favorite for your special trick or treaters.